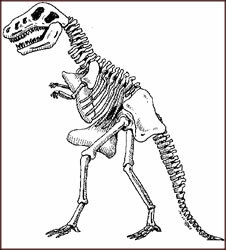 Insane articles : Dinosaurs aren't extinct. These rock-living dinos are able to absorb heat from the rock around them, and their tough skin prevents them from getting overheated. The warm rock is soft and due to their large size, they are able to move through it. The pressure might be too much for small, wussy creatures such as mammals, but the mighty dinosaurs are able to withstand it. When they do die, they stop moving and then the rock slowly solidifies around them, which is what we dig up. So there it is, definitive proof that dinosaurs are still alive and well, out of the reach of humans and just passing time until the Earth is warm enough for them to return and take over the planet again. Bow down to your reptilian masters.